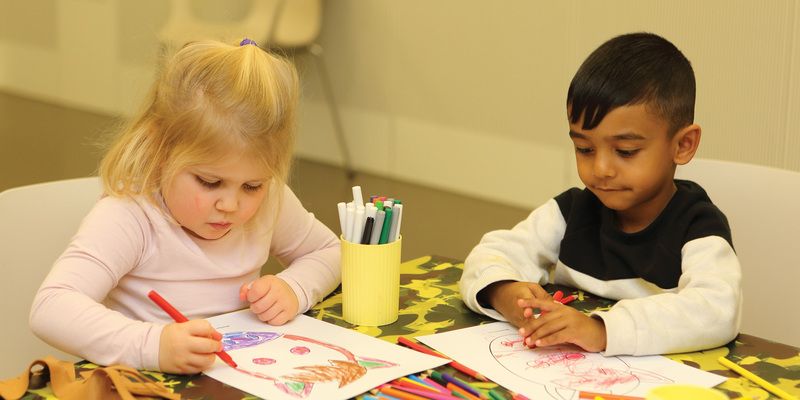 Bring your little ones to our monthly toddlers session, perfect for under-5s. Sing, play and create with your little one at these fun, sensory sessions. Each month, Tiny Troopers will have a different theme. For June, we'll be inspired by the posters of Abram Games, the subject of our new exhibition. Sessions start at 10am and 11.20am, and last approximately 45 minutes. Why not follow your session with a visit to the Museum’s fun and engaging soft play experience, Play Base. You can book your timed Play Base tickets online. Children must be accompanied by a responsible adult. Get inspired by the work of Abram Games and use iPads to make a digital poster. Channel your inner graphic designer with this family-friendly print-making workshop. "First time @NAM_London today. Thoroughly enjoyed it. Thought the presentation & interpretation made the subject accessible..."
Be the first to hear about our latest events, exhibitions and offers. Simply enter your email address below to start receiving our monthly email newsletter.